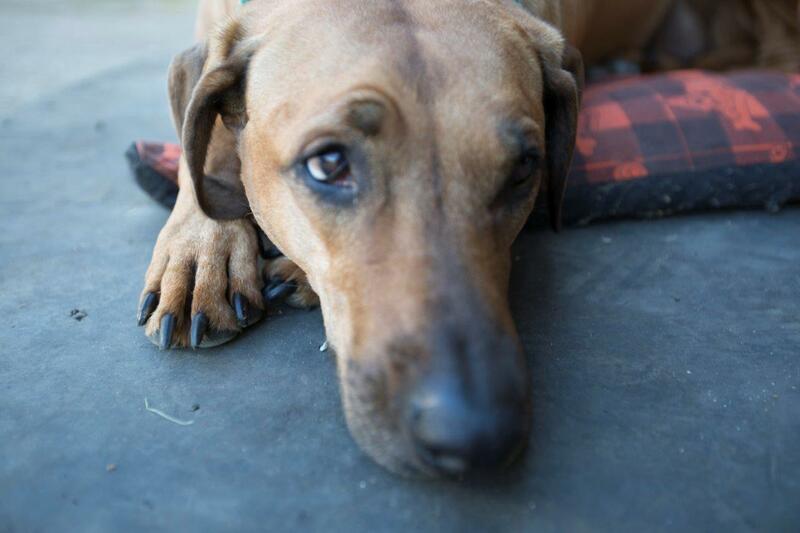 Kanzi is Ian and Hayley’s third precious Rhodesian Ridgeback. Their previous two dogs, brothers Albert and Bertie, both suffered lameness, and both had surgery at Fitzpatrick’s. After a brave recovery Albert sadly had to be put down. Kanzi joined the family as a companion for Bertie, but he too has now died. Now Ian and Hayley are worried Kanzi will also need surgery to treat her intermittent lameness. Ian and Hayley are no strangers to Fitzpatrick Referrals. 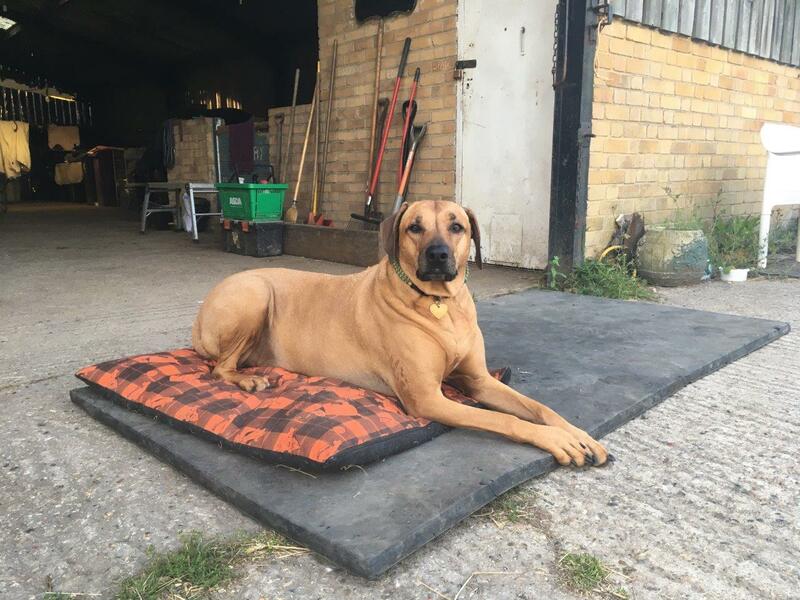 The couple’s previous Ridgebacks, brothers Alfie and Bertie both suffered from different forms of lameness, and both underwent surgery at Fitzpatrick’s. But when Alfie failed to make a full recovery, Ian and Hayley were forced to make a heartbreaking decision. Aged just six, Alfie had to be put to sleep, leaving Bertie alone. So they decided to get Bertie a companion, and little Kanzi was introduced to the family. Kanzi is Swahili for ‘Hidden Treasure’, and the family found that a fitting descriptor for their new family member. When Bertie then passed away, the pair were heartbroken, and now Ian and Hayley are worried that Kanzi will also need surgery for her lameness. The cause of Kanzi’s lameness was a mystery, but the couple, having been through it before, wanted to get it checked out by Professor Noel Fitzpatrick to see if anything needed to be done to help Kanzi, and check whether she was in pain. Most of the time, Hayley and Ian described a happy and lively dog, who seemed to be in no pain, but occasionally they noticed that she seemed uncomfortable. When Noel took a look at Kanzi, he was convinced that her elbows and shoulders were not the issue, and that the problem might be with her neck. The couple were not expecting that, hoping it was just their paranoia. The CT scan showed a compression in her spine caused by a deformed vertebrae. Noel suggested an advanced surgical solution, consisting of a custom made implant that would push the two vertebrae apart to create more space for the spinal cord. The couple had to consider long and hard about what they wanted to do, with Kanzi’s best interests at the heart of their decision. They decided that they would go ahead with the surgery, and Noel ordered the implants and the family went away to await their surgery date. When the day arrived for Kanzi’s surgery and the custom implants had been made, Ian and Hayley arrived at Fitzpatrick Referrals with second thoughts. Observing their dog over the weeks, they felt that she was joyful and happy, and not in huge amounts of pain. For them, it felt like it was not the right time to do the surgery, when the risks were so great and the recovery time long. Discussing this with Noel, he was in agreement with the family that her quality of life was good and that while the condition was not hindering that, the surgery could wait. He stressed that at the end of the day, what is best for the patient is the right thing to do, and that he supported them completely in their decision, and he was always there for them should they need him. 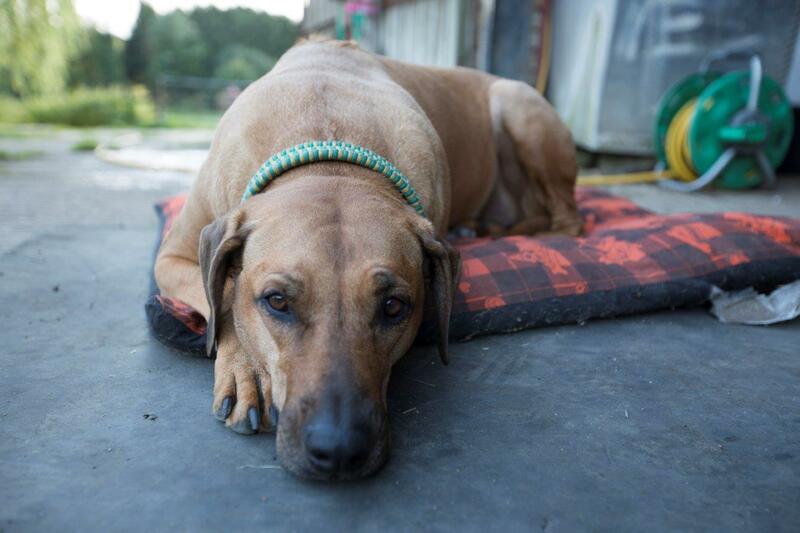 Kanzi is continuing to enjoy life with her Ridgeback friend, Tang. Noel has got the custom implants ready for whenever the day might come where Kanzi might need them but for now, the happy dog is bounding, free and happy, which is all that matters.